Applications are open for the IFC/IYF Contest for Youth Engagement in Energy, Water & Transport 2018. The International Finance Corporation (IFC) and International Youth Foundation (IYF) have launched a new publication Creating Value Through Global Youth Engagement: A Smart Investment for the Infrastructure and Natural Resource Industries. To highlight cases and best practices of engaging youth in the workforce, IFC is hosting a contest inviting young people to submit multimedia projects on the youth report’s themes and/or write-ups of examples of innovative youth engagement in action. The contest aims to inspire and create a dialogue on innovative ways to engage young people while addressing some of the problems and needs of communities and companies. IFC will feature and promote Finalists’ and Winners’ ideas on the commdev.org website and social media platforms, and make efforts invite Winners to events (for example: virtual webinars, virtual workshops, World Bank Youth Summit). Winners will also receive a certificate from IFC. Participation is encouraged from eligible individuals with the drive to innovate regardless of their occupation (working professionals, students, NGO leaders, government officials, start-up creators, technical experts or any other). Submissions can be in the form of (1) a multi-media project or (2) a case study. Feel free to reference the publication for inspiration. All submissions should be emailed to [email protected]. 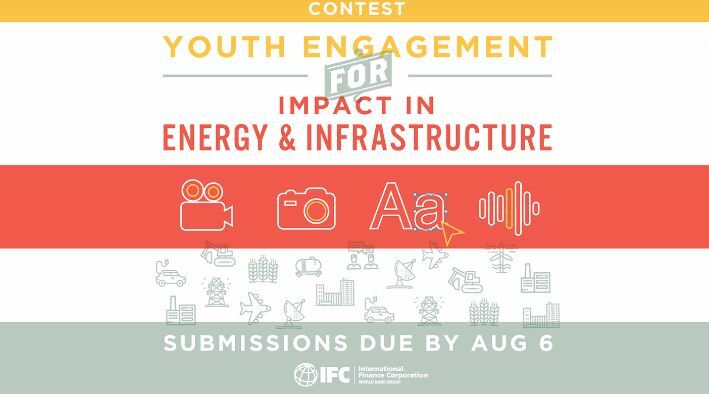 For more information, visit IFC/IYF Contest for Youth Engagement.